Me encanta este tinte labial de essence. Tiene un precio de risa (alrededor de 3€) y es de esos labiales que te los puedes aplicar sin un espejo y sabes que todo va a estar bien. Aunque lo dice su nombre su textura no es un gel, es más bien un gloss muy líquido que seca rapidamente y deja efecto muy bonito. Es muy cómodo, dura mucho puesto y no deja marcas. Se parece al efecto del Benetint de Benefit cuando se usa sobre los labios. Y al igual que éste, su única pega es que reseca un poco. En cualquier caso este tinte labial es totalmente recomendable. El tono que tengo es el 03 Flashy Apricot, entre el rojo y el naranja que tiene un color muy sutil con una pasada y se puede incrementar su intensidad con más aplicaciones. 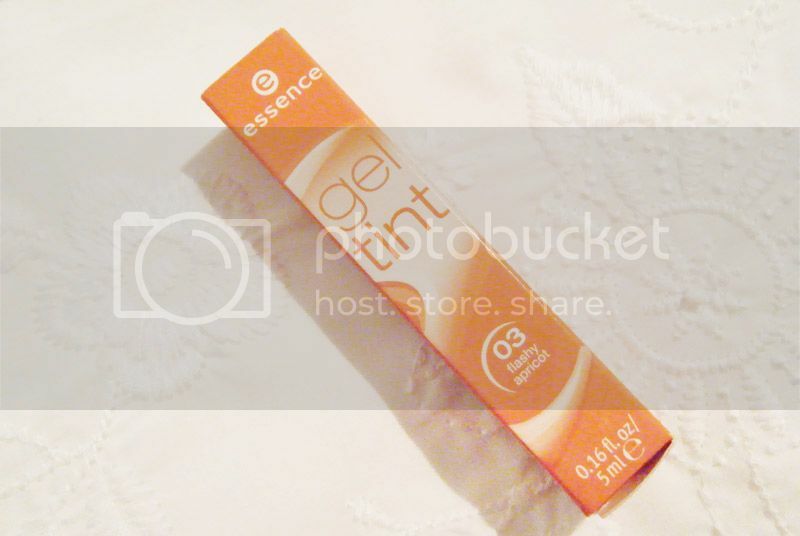 I love this essence lip tint. Its price is laughable (about 3€) and it's one of those lip products that you can apply without a mirror in hand and know that everything will be fine. 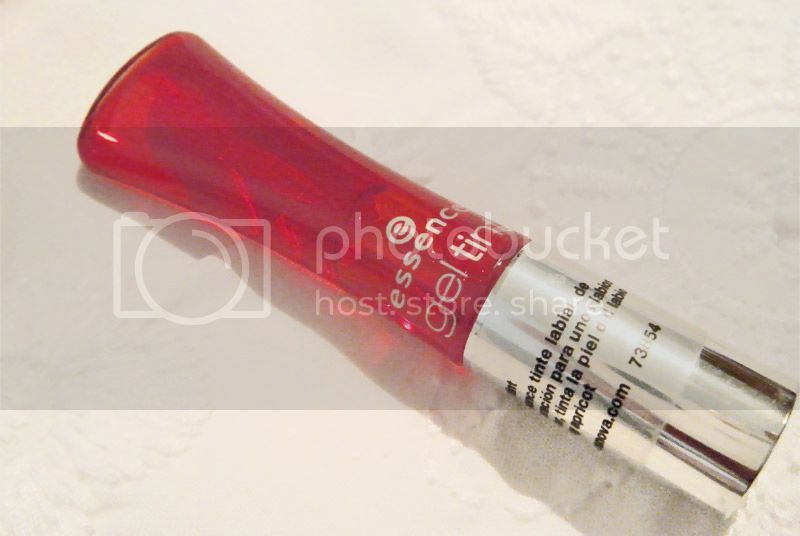 Although the name says it its texture is not a gel, it is rather a liquidy gloss that dries quickly and leaves a very nice effect. It is very comfortable to wear, lasts on for ages and doesn't leave stains. It kind of has the same effect as Benefit Benetint when used on the lips. And like that one, the only downside is that it's a bit drying. In any case this lip tint is fully recommended. The shade that I own is 03 Flashy Apricot, between red and orange it leaves a very subtle wash of colour that with more applications its intensity can be increased.